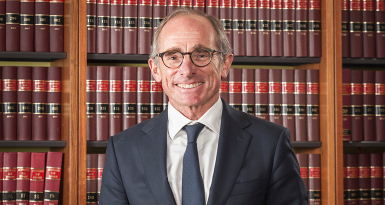 In a recent judgment in the Federal Court the judge, the Honourable David John O’Callaghan, discusses the part that ARITA’s code of professional conduct plays in determining questions concerning the independence and impartiality of an external administrator’s conduct. There is no doubt that the code is a useful document in assisting practitioners; …. it is “a useful guide to the common practice in such matters, and to the profession’s own view of proper professional standards”; …. it is “… permissible for the Court to take [it] into account, to that extent, in applying the law concerning independence and impartiality to the insolvency practitioner’s conduct in the case before it”; …. On the other hand, the code “has no legal status”; …. Any question relating to the appearance of impartiality must be determined according to law. It is not the Court’s function in a case such as this to either apply or interpret the code. For more, see his complete comments below. 92. I should also say something briefly about the Code of Professional Practice of The Australian Restructuring Insolvency and Turnaround Association (ARITA) (the code), because the administrators sought to rely on the code as providing an independent basis upon which they might be permitted to continue to act as administrators. In particular, submissions were made on behalf of the administrators about those parts of the code which define “exceptions” to the “rule” that, relevantly, practitioners must not take an appointment if they have had a professional relationship with the insolvent company during the previous two years: see section 6.8 of the third edition of the code. 93. There is no doubt that the code is a useful document in assisting practitioners, including with respect to questions of whether, in accepting or retaining an appointment as an administrator, the practitioner is, and is seen to be, independent: see chapter 6 of the third edition of the code. The code is intended to provide guidance on standards of practice and professional conduct expected of ARITA members. 94. In Bovis Lend Lease Pty Ltd v Wily  NSWSC 467; 45 ACSR 612, Austin J described (at ) the Code of Professional Conduct published by the Insolvency Practitioners Association of Australia (as ARITA was previously known) as “a useful guide to the common practice in such matters, and to the profession’s own view of proper professional standards”. Accordingly, his Honour held that “[i]t is permissible for the Court to take [it] into account, to that extent, in applying the law concerning independence and impartiality to the insolvency practitioner’s conduct in the case before it”: see Bovis Lend Lease Pty Ltd v Wily  NSWSC 467; 45 ACSR 612 at ; comparing National Roads and Motorists’ Association Ltd v Geeson  NSWSC 832; 39 ACSR 401 at 403 and Permanent Trustee Australia Ltd v Boulton & Lynjoe Pty Ltd (1994) 33 NSWLR 735 at 738. 95. On the other hand, the code “has no legal status”, as Sanderson M stated in Monarch Gold Mining Co Ltd; Ex parte Hughes  WASC 201. Relevantly, Sanderson M observed in that case, “a failure to comply with the terms of the code would not render a practitioner liable for prosecution under the Corporations Act or any other statute … Nor does a failure to comply with the provisions of the code mean that there has been a failure to comply with what is required in the DIRRI”: see Re Monarch Gold Mining Co Ltd; Ex parte Hughes  WASC 201 at . 96. Any question relating to the appearance of impartiality must be determined according to law. It is not the Court’s function in a case such as this to either apply or interpret the code.